Here are a few things that I have collected from around the web that may help you along on your fitness journey. 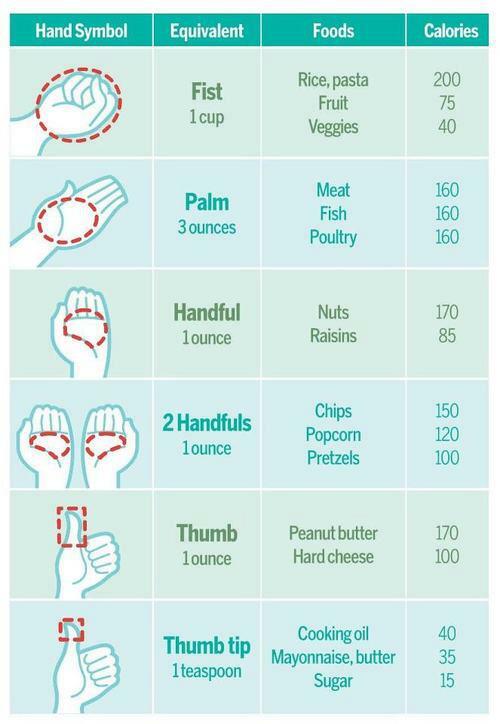 When you are stuck without a scale and have to approximate the amount of calories you are ingesting, this is a helpful chart to have. For better results in weight loss, I highly recommend keeping track of everything you eat. Most people significantly underestimate the amount of calories they consume and then wonder why they are not reaching their fitness goals. Use a small notebook that you can carry with you, install an app on your smart phone to track calories and exerciser, or use any other method to log your food. I prefer Lose it! app for Android. The app allows you to store data on your SD card, gives you a handy chart to track your macros, and best of all, it has one of the most accurate food databases I have ever seen. The bar code scanner is also a nice feature. Paleo is becoming an extremely popular way of eating. According to Science and Fitness Journal, there is no conclusive research that sets Paleo as the more effective diet (when it comes to weight loss) when compared to Atkins, Mediterranean, and Low Carb Diets (like South Beach), however, in my opinion it is significantly better for you. Paleo is not a quick fix, it takes constant work and dedication. 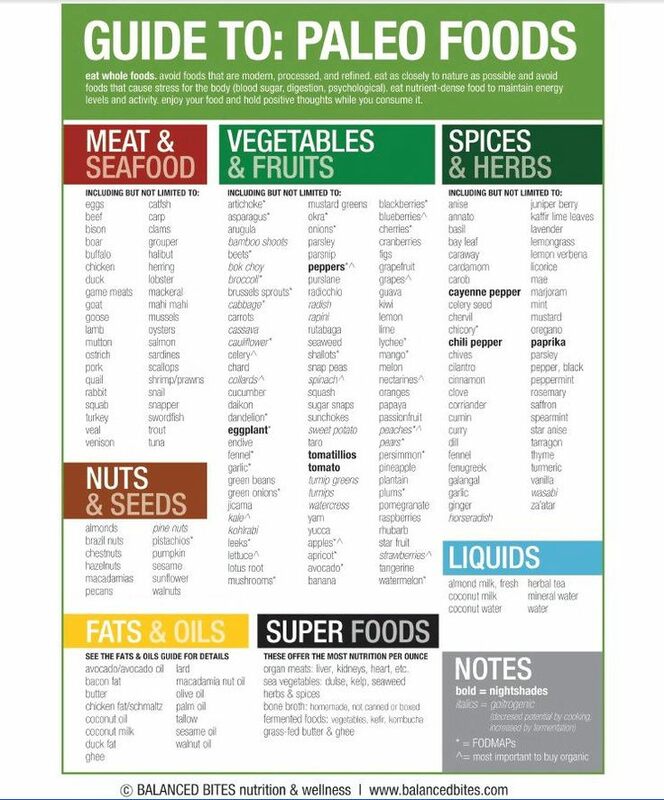 To the left is a chart of Paleo foods to help you on your fitness journey. Even if you are not eating Paleo normally, give this list a shot, you might be surprised at how you feel after just 10 days of being preservative free and eating clean. As mentioned previously, it is extremely important to track everything you eat to get the most out of your diet and fitness routine. I find that meal plans, much like planning workouts, make the otherwise intangible goals, into something manageable, something that is actually real. 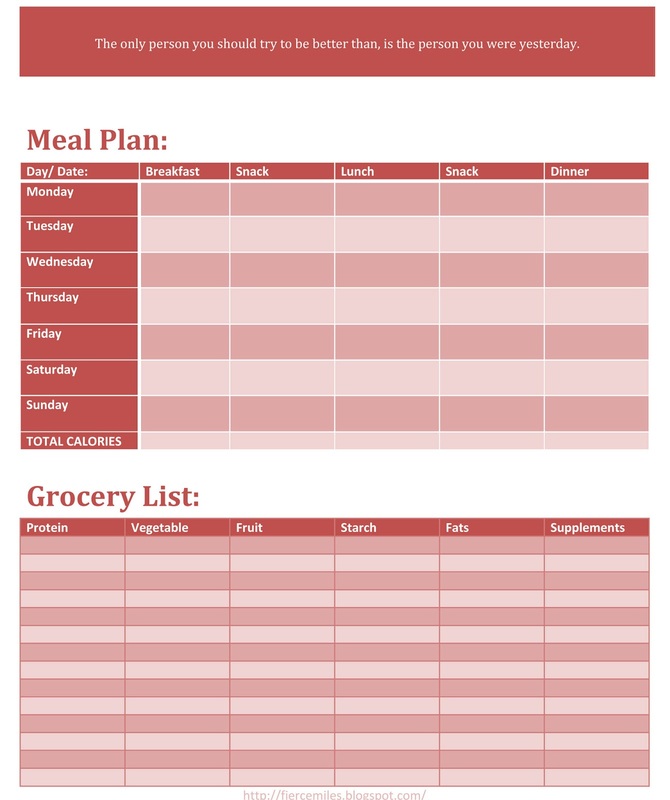 Use the chart to the left to make your meal plan and than make your grocery list. I added a “total calories” line at the end of each day. Use that space to write down the number of calories consumed to make sure that you are eating the right amount to meet your fitness goals.